Join Chris Anson as he shares some of his insights for making the best pictures while piloting your drone. He’ll also show some powerful techniques for finishing them in Perfectly Clear Complete. 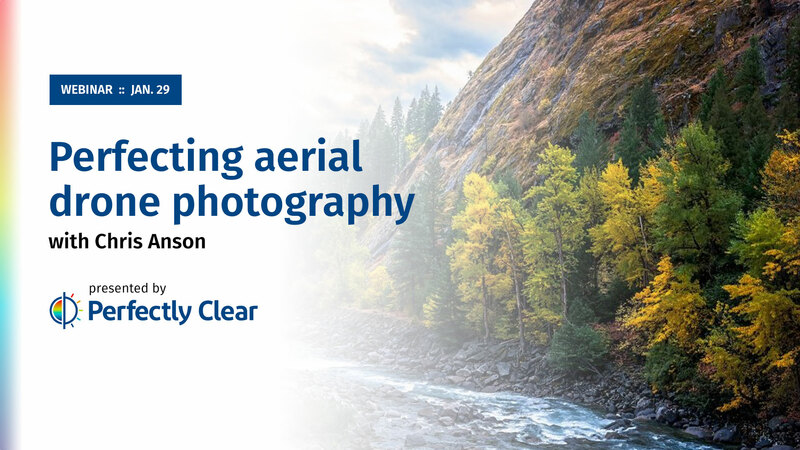 Everything is a little different when your camera is flying, so don’t miss this webinar to help you become a better drone photographer. Tune in live at 12 p.m. Eastern, 11 a.m. Central, 10 a.m. Mountain and 9 a.m. pacific to participate in giveaways and ask questions. The webinar will be recorded for those who can’t join in live. Register for this FREE webinar now!